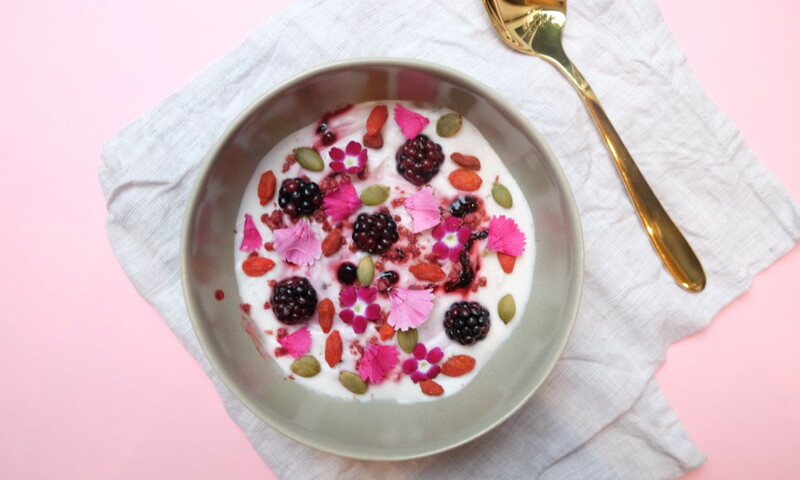 Coconut yoghurt is not only delicious, it is incredibly beneficial for our adding the right bacteria to our gut. In turn this strengthens our immune system, builds our bacterial communities and creates a more efficient bowel process. It helps us to breakdown food, absorb nutrients and eliminate waste. You will need either a dehydrator, hot water cupboard or warm environment to ensure your yoghurt will culture. Pour your coconut milk into a jar, and empty the contents of the probiotic capsules into the jar and mix well. Place a clean tea towel over the top of the jar, and secure in place by tying string around the mouth of the jar. Store the jar for 24 hours in a warm place. After 24 hours, check the yoghurt and stir further. Taste the yoghurt and check that it has started to culture – if you prefer a slight tangy taste – fasten lid on the jar and store in the fridge. Continue to culture yoghurt if you would prefer a stronger flavour. I usually find 24 hours is enough for me. The yoghurt will store in the fridge for up to 1 week.